Humans seek cosiness, a ready food supply and comfort and pests are equally disinclined to spend time in atrocious weather and scavenging for food. A property repair that’s been forsaken, an open door, the tempting smell of pet food on the kitchen floor, cereals and crumbs scattered in storage spaces or on worktops or homegrown fruit and vegetables stored in a greenhouse or shed are as good as a gilt edged invitation to the pest to make their silent and swift entrance and overwinter in your home or business premises. Regular inspections are advisable; the earlier a pest problem is identified, the sooner it can be treated. Once ensconced, pests will be loathed to relocate, and you could find that an infestation is resistant to over the counter pest control treatments. Please don’t waste your time or energy on DIY measures, call a local pest control specialist who has an excellent reputation, access to treatments which are not available in the public domain and the expertise to outwit the invader. Pest Control Berkshire has a swift response and discreet service and all necessary accreditations and licences. A one solution fits all pest problems approach isn’t viable; you need the experience of professionals for the most effective measures, from relocation to eradication, a maintenance programme to long-term treatment plans, to be employed with confidence. All work carries a guarantee which satisfies you, your mortgage lender, insurance company or maintenance contract issuer. DIY guesswork can’t offer peace of mind. Specialists do. Flies and cockroaches relocate to more comfortable surroundings than the chilly outdoors delivers. Flies, wasps and hornet nests can quickly be repopulated when warmer weather arrives so please don’t procrastinate about pest problem resolution. Cockroaches can happily survive in the cold temperatures and without traditional food stuffs. Rats and mice scratch and gnaw at surfaces; these are as diverse as cardboard and bricks to electrical cabling and fabrics for their nest. 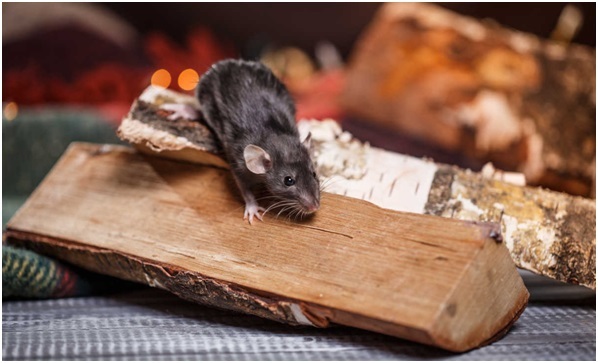 Rodents can create a fire risk and structural issues so immediate contact with a local pest control firm is imperative. Similarly, nibbling grey squirrels in your roof space can be highly destructive; never hope that they’ll scamper away without incident. Contact a local pest control specialist for a complete evaluation and treatment. Be vigilant; ensure you don’t have a pest problem in winter 2019.